The warm taste of ginger, one of the most versatile of all spices, adds zest to any herbal infusion. Taken on its own, it stimulates circulation to the skin, promotes sweating and relieves nausea. Combine fresh root with garlic and honey to bring quick relief to colds and flu and settle stomach upset. Ginger ranks as one of the top of the herbal "heat list" and helps break up stagnation in the joints and surrounding tissues, stimulating blood flow and circulation. Research also suggests that ginger may have thermogenic properties that help boost your metabolism, as well as have an appetite-suppressant effect when consumed, suggesting a potential role of ginger in weight management. As a tea for nausea and indigestion, or with garlic for colds and flu, use 1/2 oz. (14g) bruised or powdered root to 1 pint (500ml) boiling water and take 1 fluid ounce at a time (30 ml). Ginger tea is used for weight loss since it helps increase metabolism, stimulate circulation and detox the body from toxins. Make a ginger-cinnamon tea with dry ginger, add 1/4 tsp ginger powder and 1 cinnamon stick to 2 cups boiling water. If the tea is too pungent try adding a teaspoon of honey to sweeten it. 1:3 tincture using fresh root - 2–4ml a day, or max. 30ml (1 oz) per week or 1:3 tincture using dried root - 1–2ml a day, or max. 15ml (1/2 oz) per week. Capsules of ginger are great to take right before a trip, if you are prone to motion sickness. Take at the manufacturer’s recommended dosage. This chilling liniment is recommended for treating arthritic joints with poor circulation that are cool to touch while being quite stiff and painful. Place 1 cup fresh, finely chopped, sliced or grated ginger, 1 teaspoon cayenne and 1 teaspoon vegetable glycerin in a 1-quart (950 ml) canning jar and pour 2 1/2 cups (290ml) unflavoured vodka over them. Place the piece of plastic wrap over the mouth of the jar (to prevent the metal lid from coming into contact with the herbs) and screw the lid. Shake the jar for about 30 seconds to blend thoroughly. Store the jar in a cool, dark place for 4 weeks, shaking daily. After 4 weeks, strain the herbs through a strainer to remove all the debris and press the herbs (you want to remove all the pepper particulate). Pour the liquid into storage containers, cap, label and store in a dark cabinet. Briskly massage a small amount of liniment into any area that is cool to the touch and affected by arthritic stiffness and pain, 1 to 2 times per day, or as tolerated. Use within 2 years. Do not apply to abraded, cut, punctured or recently shaved skin. A tingling, warming sensation is to be expected, but if an uncomfortable reaction such as a red, stringing rash or a burning feelings occurs, wash the area with soap and water immediately and discontinue use. 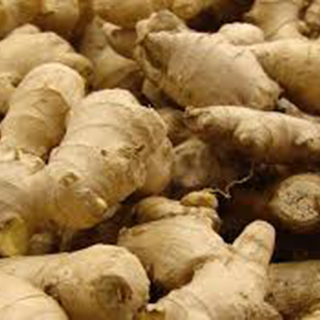 The easiest way to get started growing ginger root is to get a few fresh rhizomes, at the time when the plant re-shoots anyway (early spring). Otherwise just buy some at the shops at that time. The best time to harvest ginger is any time after the leaves have died down. This usually takes eight to ten months when the whole plant can be harvested.